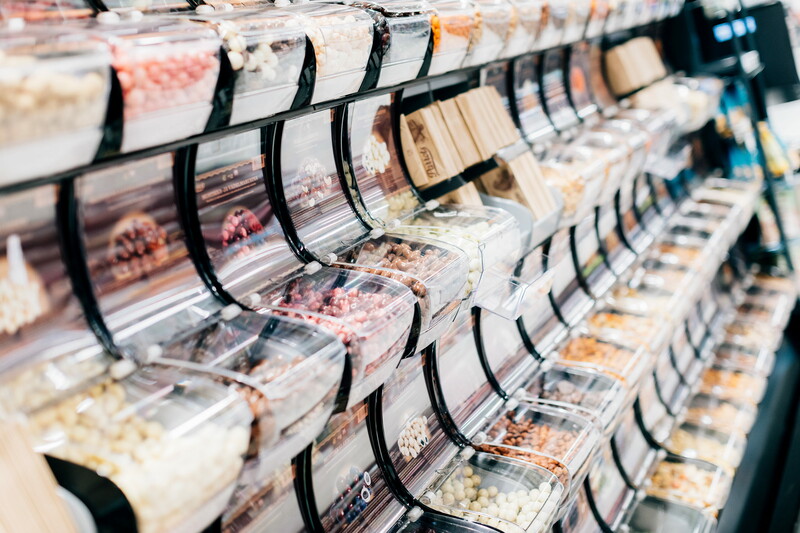 Colourful, complex and ever-changing - confectionery and snacks are one of the most diverse categories in today’s grocery stores. With new product launches frequently occurring and a high share of seasonal business, this category contains many competing products and brands vying for the shoppers’ share of wallet. 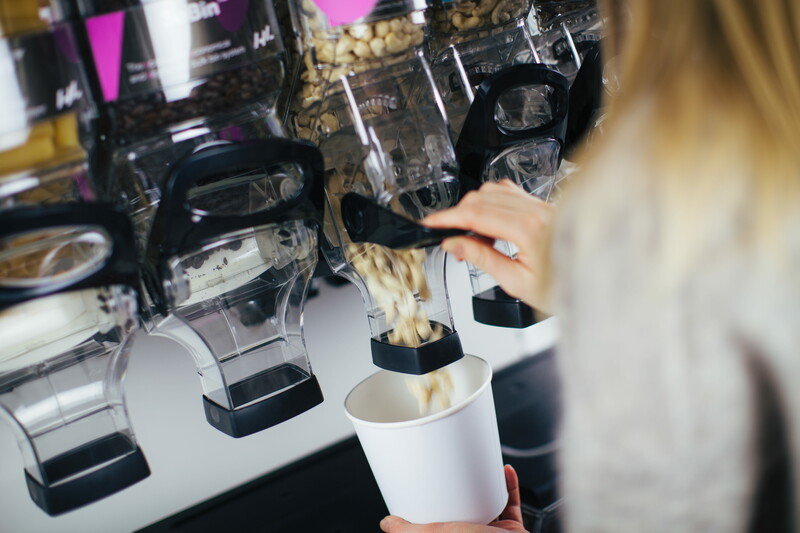 Sales are highly impulse driven, hence why secondary placements and cross-merchandising with other categories such as beverages, coffee and grab-and-go snack products are common. Due to the large share of out-of-home consumption, confectionery and snacks are sold in all forms of packaging that vary in colour, shape and size. As shoppers are spoilt for choice, neatly merchandised products are essential for increased chances of selection and purchase. 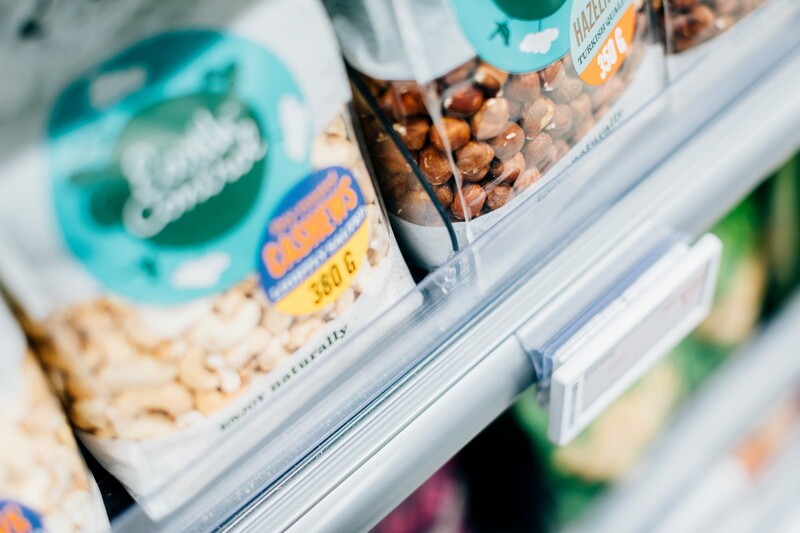 Pushers and trays create well-organised shelves where products are always front-faced and require less labour when restocking. They also allow for shelf communication, which helps shoppers to navigate the category. Further, tools such as shelf lighting, frames, secondary displays and shelf talkers can be used to highlight the best-selling brands and power SKUs, attracting the shopper’s attention when walking the store on autopilot and driving impulse sales. Natural snacks such as nuts are increasingly merchandised in bulk rather than in pre-packed boxes or bags. Transparent scoop bins and gravity bins help create visibility and abundance while reducing time spent on re-stocking product. 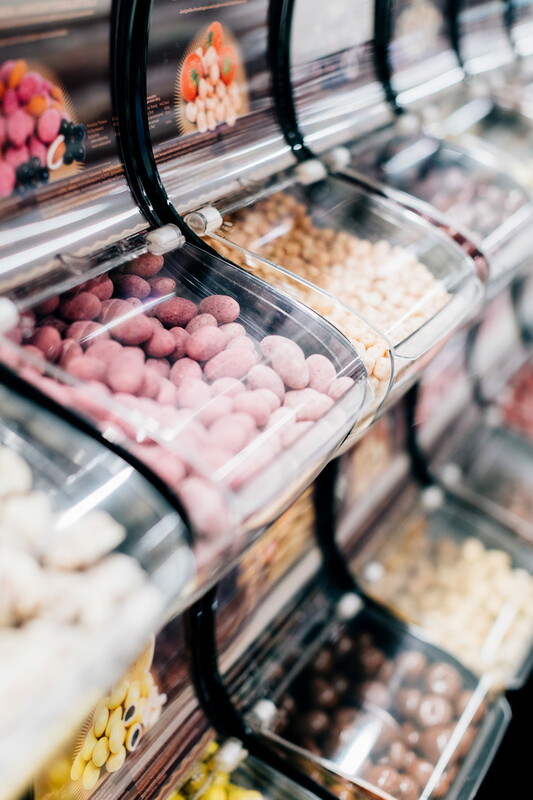 Bulk merchandising also has the advantage of enabling shoppers to pick the exact combination of confectionery or snacks they would like to purchase, allowing them more control over the shopping experience. 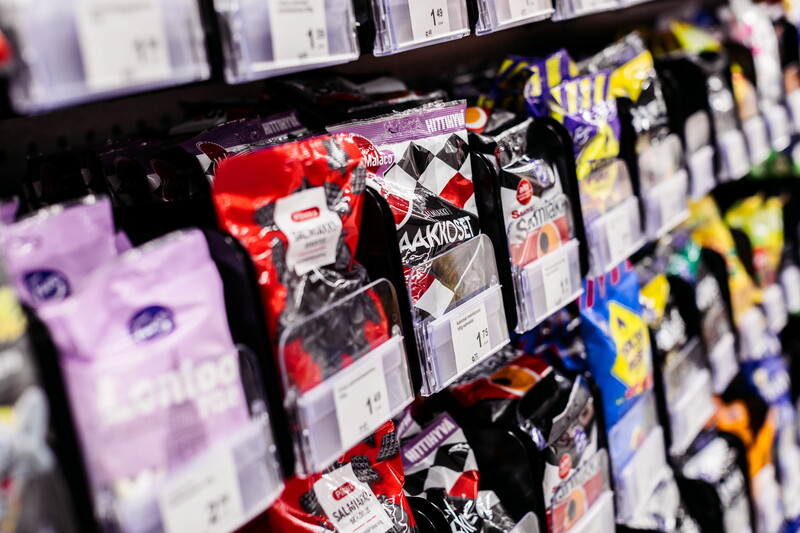 This retailing option is perfect for shoppers looking to establish healthier snacking habits whilst reducing packaging waste. 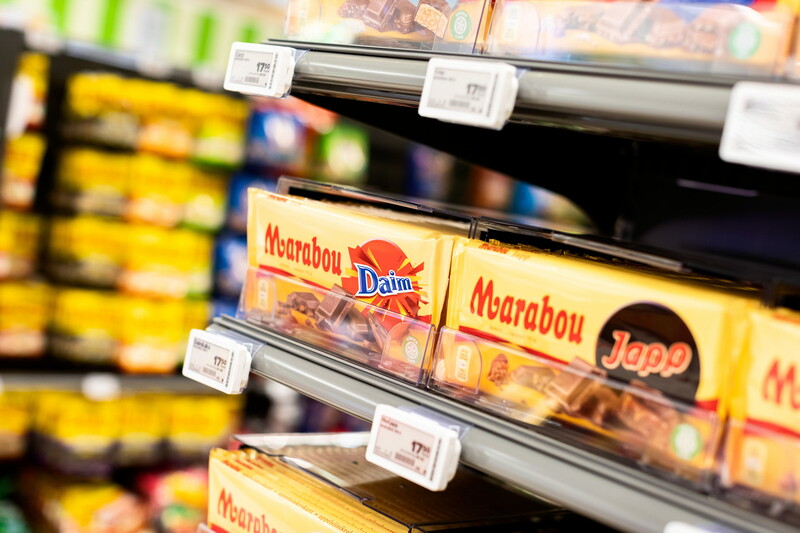 HL offers a range of merchandising solutions to help create a better shopping experience within the confectionary and snacks category. To view our innovative retail systems, browse our solutions below.